The process of dehydration is a great way to preserve food for a later date. 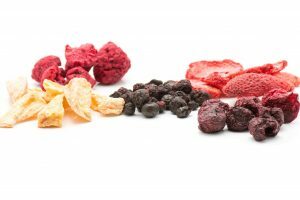 While many people purchase dehydrated foods, it is much more affordable to dehydrate your food at home. 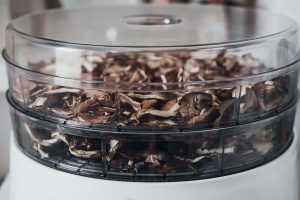 Buy a good dehydrator or follow easy do-it-yourself tips, and you’ll have nutritious, lightweight and delicious dehydrated snacks that can last many years, if stored properly. 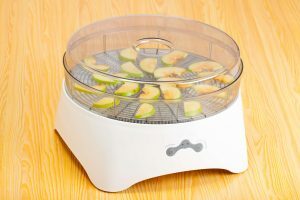 The purpose of a food dehydrator is to remove moisture from food to help in its preservation. High-end dehydrators, such as the Excalibur, will get the job done but at an expensive cost. There are less pricy brands that are just as effective. 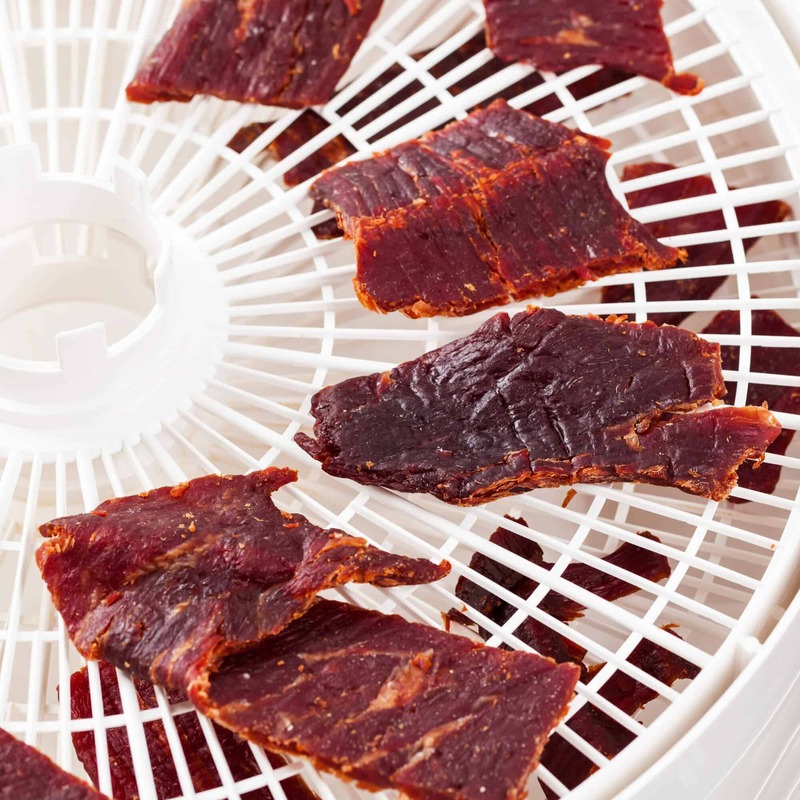 With less than $100, you can find a durable dehydrator that will save you time and effort. 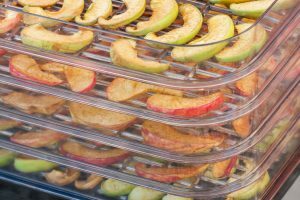 It is important to determine whether you want a dehydrator with stackable trays that are expandable or one with outside walls with trays that slip in and out of the product. 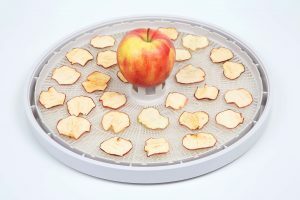 The two main types of dehydrators are vertical airflow and horizontal air flow. 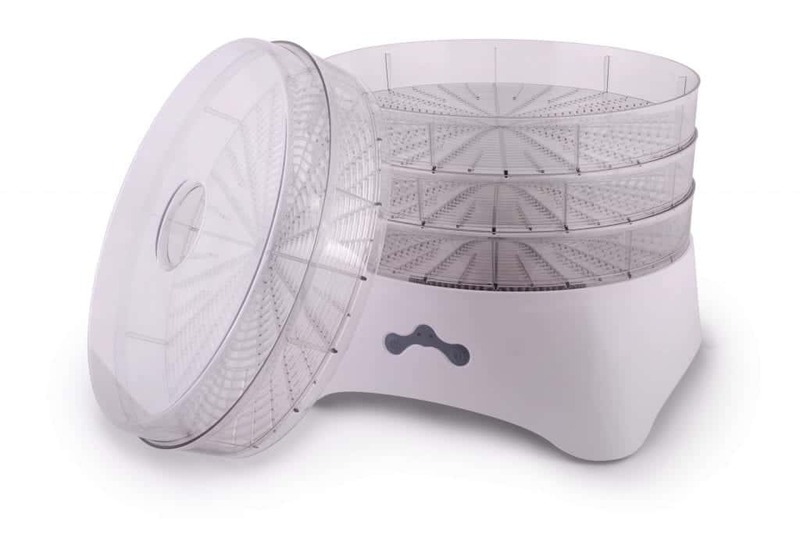 The vertical air flow dehydrator’s primary drying element is the fan located on the top of the unit or at the bottom, which offers great heat distribution but can make for a difficult cleanup process as the moisture often drips into the fan. The horizontal air flow dehydrator also has a fan, but its primary drying element is on the back of the unit. They minimize the imparting of flavors between food because air does not pass directly from one tray to the next one. However, these dehydrators are usually larger and more expensive than vertical air flow dehydrators. 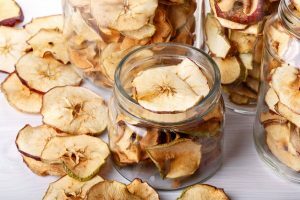 If you would like to try a do-it-yourself method, there are plenty of tips on how to dehydrate your food without an oven or dehydrator. Some vegetables should be blanched before you start the dehydrating process. The process of blanching includes first washing the vegetable, placing it in boiling water for a few minutes, and then dropping ice cold water in the pot to stop it from cooking. By doing so, you will be able to retain the vitamins, keep the bright color of the vegetable and allow the food to taste even fresher after you rehydrate it. Leafy vegetables, such as green-mint, sage, oregano, lettuce, etc. can be air dried as well as herbs, peppers, tomatoes, etc.No matter the food, direct sunlight will be needed to expedite the drying process. Depending on the food, it can be a few days to a couple of weeks to fully dry. Be sure to research the food before you begin the process, so you are aware of the anticipated length of time. One fantastic thing about dehydration is that you do not have to worry about the quality of ripeness of the fruit or vegetable. Whether the food is overripe or slightly damaged, you can still preserve it. 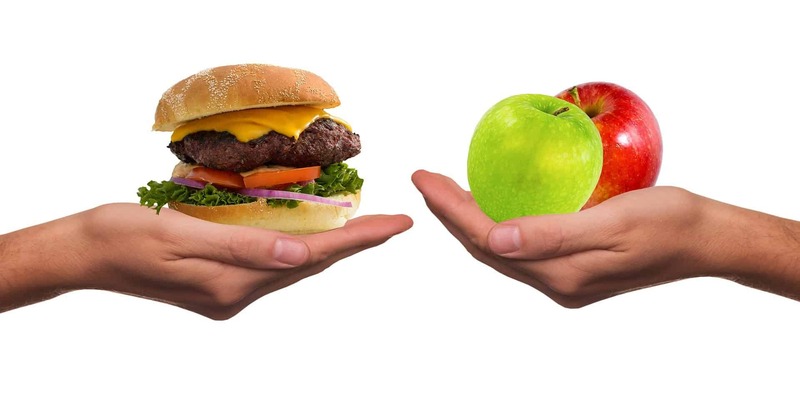 While the best quality is always preferred for the best outcome, the primary goal is to preserve the food. If the fruit or vegetable is too soft, you can puree it first before drying. Good fruits to puree include apples, plums, peaches, and berries. 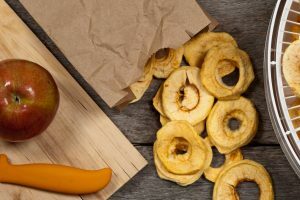 You can get creative and combine most fruits with apples to make a delicious fruit leather for snacks. If your dehydrator does not have a puree tray, try covering the regular try with a cello wrap and place the selected fruits on top. If using this method, remember to flip the food once the top is dry, so it dries evenly on both sides. However, if the food has mold, do not place it in the dehydrator as it can spread and infect the rest of the contents. 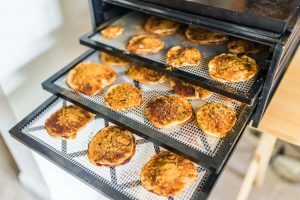 Dehydrating one specific family of food at a time is best practice. Also, always try to have fruits and vegetables sliced to the same thickness and never overlap any vegetable or fruit piece–this may block the airflow and delay the drying process. However, this tip does not apply to greens as they are loose and can dry easily despite how they are placed on the tray. Be advised that vegetables containing sulfur, such as brassica, should be dehydrated on their own as the taste might permeate into the other foods. Always keep your dehydrator outside in a well-ventilated area, especially if you are drying hot peppers, onions or another vegetable with a strong scent or taste. You will also need to scrub the dehydrator trays with soap and water after drying. Be careful when drying peppers and onions as the oils will become airborne and can be an eye irritant. Additionally, different foods require various dehydration temperatures. Always check your dehydrator’s thermostat to ensure that it is set to the right temperature to dry fish, meat, vegetable or fruit. 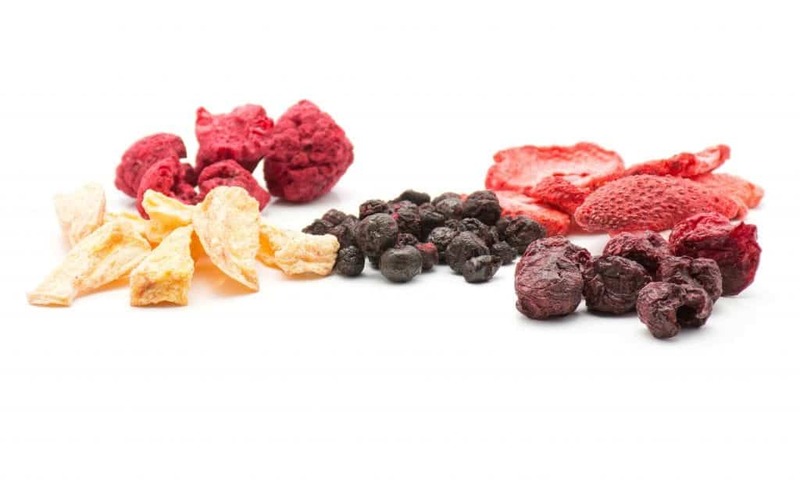 Where or how you think to store your dried foods is equally as important as the dehydration method. For optimal results, store your dried foods in heavy-duty zippered bags in a metal container or store them in dry, sterile glass jars. When storing, be sure to separate according to food families. For example, do not store broccoli in the same bag as plums or peaches. If you combine different foods together, they will eventually absorb hints of flavors of the other, affecting their original smell and taste. 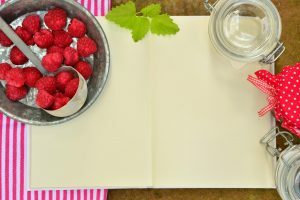 Whether you are experimenting with dehydration, or you are pro, there are several benefits to preserving your food. From making quick snacks, such as kale chips, making vitamin powder out of vegetables or preserving meat and fish for the long run, you can get the most out of your food through dehydration. Some foods may be a challenge to dry, such as blueberries or grapes, while others might be simple and quick as herbs. However, if you follow the right instructions, you will learn how to properly preserve your food, while saving all its nutrients and flavor for whenever you choose to consume it in the future.